Today’s First Monday Library Chat takes us back to England to talk with Dr. Suzanne Paul, Medieval Manuscripts Specialist at Cambridge University Library. The University Library is the central library on Cambridge’s campus, used by members of all Cambridge colleges, researchers from all over the world and accessible to the public for a nominal fee. As the Medieval Manuscripts Specialist, could you tell us broadly about the medieval manuscripts held by Cambridge University Library? What are the strengths of your collection? The collection, consisting of c. 3000 items, is very broad based, as you might expect in a library that’s been acquiring manuscripts for 600 years. There are some outstanding early medieval manuscripts, like the early 5th-century ‘Codex Bezae’ and the 10th-century ‘Book of Deer’, believed to be the oldest extant book produced in Scotland, but numerically, the greatest strength lies in the 12th-15th centuries and ranges across religious, literary, historical, scientific and legal texts. The majority of our manuscripts are of English provenance, from a variety of monastic and other institutional sources and from numerous individual collectors. Our current exhibition showcases our French medieval manuscripts but we have a particular strength in manuscripts containing Middle English texts. Do any of these medieval manuscripts contain recipes? The short answer is ‘yes’. The majority of the recipes in our manuscripts are medical but there are also alchemical, culinary, veterinary and what I would term ‘artisanal’ recipes for activities such as making ink and glue or gilding and colouring. The issue, as always, is finding the recipes. The principal catalogue for our main ‘two-letter’ (Dd-Oo) collection dates from the 1850s and the treatment of recipes is generally cursory. The Middle English recipe texts received some attention with the compilation of the IMEP volume relating to the collection (Margaret Connolly, Index of Middle English Prose: Handlist XIX Manuscripts in the University Library, Cambridge (Dd-Oo), Cambridge: Brewer, 2009). Connolly estimates that there are well over 2000 recipes in the manuscripts she indexed and she drew attention to three manuscripts (CUL MSS Dd.5.76, Dd.6.29 and Ee.1.15) which each contain over 200 recipes. Of course, many recipes occur singly or in small groups, many were added to manuscripts later, in blank spaces or on flyleaves, and many are not written in Middle English. Work is in progress to produce new online descriptions of all the manuscripts but there is a lot of work to be done on identifying and classifying recipe texts. 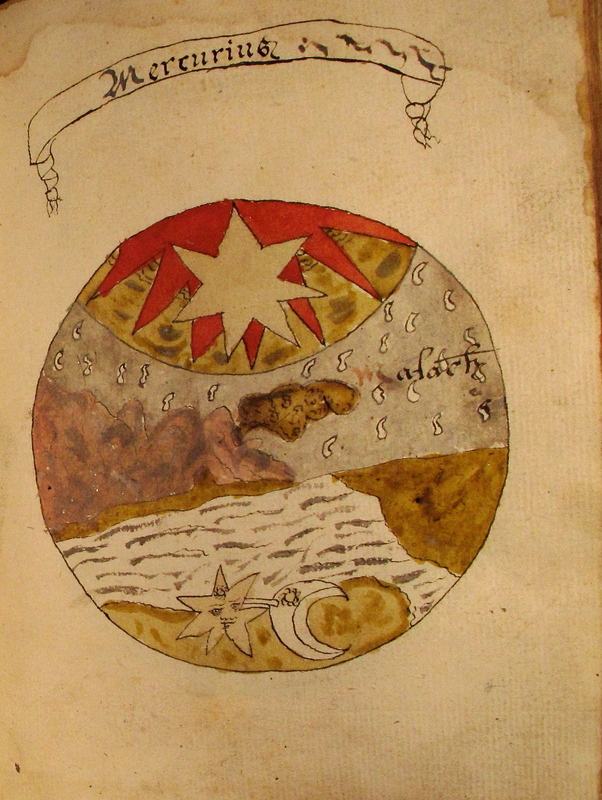 My colleague, Dr Anke Timmermann, is investigating alchemical images in manuscripts held in Cambridge libraries and will be producing a handlist of alchemical resources and images. She recently came across an interesting series of alchemical illustrations in a seventeenth-century manuscript which form a visual representation of the recipe for the philosophers’ stone (see image below), along with an intriguing personification. ‘the crowing of nature’ – 17th c. visual alchemical recipe. CUL MS Gg.1.8, f. 80r. By permission of the Syndics of CUL. I’m interested in the Taylor-Schechter Cairo Genizah Collection – the world’s largest and most important collection of medieval Jewish manuscripts. Are there any recipe-related items in this collection? The Genizah collection is made up of 190,000 manuscript fragments recovered from the storeroom of the Ben Ezra synagogue in Fustat, Egypt. Although the Genizah was intended as a depository for worn-out sacred texts too precious to throw away, many secular documents dating from the 10th to the 17th centuries ended up in it. These Arabic, Judaeo-Arabic and Hebrew texts give us a unique insight into Jewish communal and domestic life and the wider economic and social history of the medieval Mediterranean and Near East. 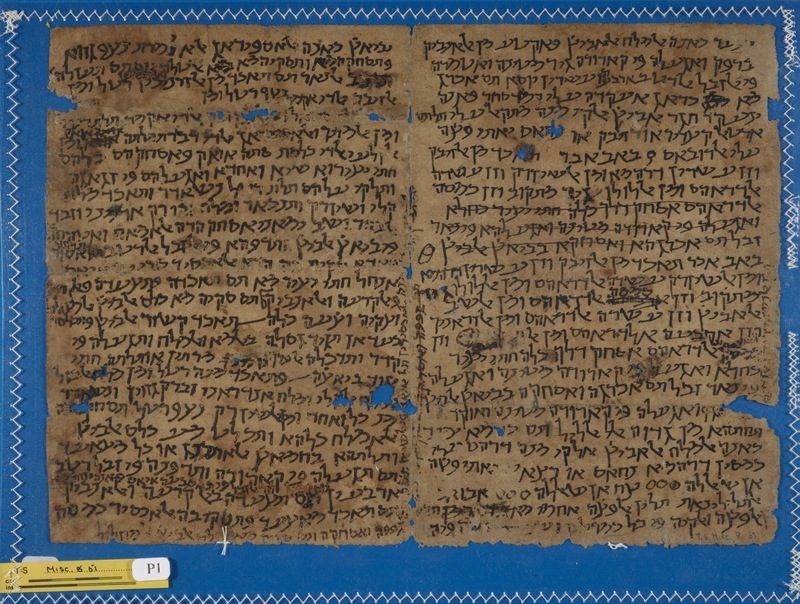 Dozens of medical recipes have been recovered from the Genizah, including this one, recently identified as a prescription in the hand of the great Jewish physician and philosopher Maimonides. 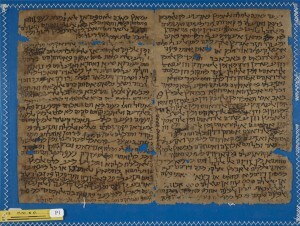 See Efraim Lev and Leigh Chipman, Medical Prescriptions in the Cambridge Genizah Collections (Leiden: Brill, 2012) for more. The alchemical material in the Genizah collection is the subject of research by my colleague, Dr Gabriele Ferrario. Although there has been a pervasive tradition identifying Egypt as a centre of alchemical knowledge and a longstanding belief in the Jews as particularly skilled practitioners, it is only now that the actual activities of Jewish alchemists in medieval Egypt are being uncovered. Gabriele tells me that the alchemical texts he has identified are not generally theoretical or allegorical works but are principally practical in nature, that is, recipes and instructions for laboratory experiments, often adapted from Greek or Arabic sources according to the local availability of ingredients. 12th-13th c. Alchemical recipe for making silver – CUL MS Misc. 8.51, page 1. By permission of the Syndics of CUL. Cambridge University Library is also home to some high-profile modern and early modern science collections, including the papers of Sir Isaac Newton and Charles Darwin. Could you speak more broadly about some of the early modern or modern recipe collections in your library? We have numerous seventeenth-century and later commonplace books and scientific notebooks containing recipes and laboratory instructions. Newton’s papers include not just his mathematical and scientific thinking but also chemical and alchemical notes. The collection of Darwin’s papers at the UL encompasses all aspects of his professional and domestic life, including his wife Emma’s recipe book which has recently been edited and published. Your library offers a number of prizes and fellowships that may be of interest to our readers, including those focused on book collecting and bibliography. Can you tell us a bit more about these? The library appoints a Munby Fellow every year. This is a full-time 10-month position (October-July) open to a post-doctoral researcher of any nationality to carry out bibliographical research in any subject from any period. The only stipulation is that the proposed project must be based primarily on collections held in Cambridge libraries, whether print or manuscript. According to previous Fellows, one of the most exciting aspects of the position is being allowed to go ‘behind the scenes’ and browse the library’s Special Collections stacks as a member of library staff. The current Munby Fellow, Dr Anke Timmermann, is working on alchemical material but there is plenty of scope for other recipes researchers to investigate other aspects of our collections. The Fellowship is usually advertised in the summer. Thanks, Suzanne, for chatting with me! If you have any questions about the Cambridge University Library collections, please email Suzanne Paul. If you’d like to feature a library on the First Monday Library Chat, please email Michelle DiMeo.